Shark Diver : Shark Diving : Swimming With Sharks: Better spot tags for great white sharks? Better spot tags for great white sharks? The Marine Conservation Science Institute has revealed a new kind of spot tag. "Can you identify three MCSI innovations/modifications? They ask on their FB page. "Two are done at the manufacturer and one is done in our lab (painting does not count!). Two of the mods greatly improve shark tracking performance and one is for the benefit of the shark." One visitor on their page correctly identified all 3, and she's not even a researcher! Melissa Michaelson pointed out the three modifications. Yes, we have a thicker/stiffer antenna and copper wet/dry sensors. Both of these things are designed to combat biofouling (sea life growing on the tag). We believe biofouling is the biggest cause of tag failure. The stiffer antenna will not easily bend when algae grows on it, and nothing will grow on the copper wet/dry sensors. 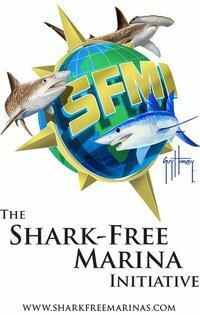 A big thank you to MCSI for tirelessly working on better research methods and tools, designed to both improve the collection of data and be less intrusive on the sharks. We constantly have to balance the need for gathering data, with the impact the methods used to obtain that data have on the sharks. Too many researchers simply justify the negative impact their research has on the sharks, by pointing out the valuable information they gather. Kudos to MCSI for being aware of that fact and spending time and money on lessening that impact. 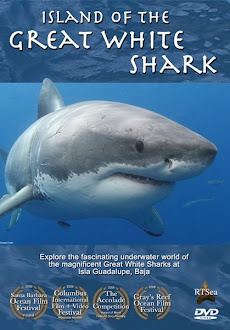 Shark Diver is proud to partner with MCSI for our science expeditions and also be a part of their photo ID data base at Guadalupe Island.